Common grammar/syntax errors can cause confusion in email and in verbal communication in English. This confusion is multiplied when global teams are communicating across time zones. One international manager noted that an error in email typically requires 3 email follow-ups. Working with the interactive software program, Writing in English*, helps nonnative writers eliminate common grammar/syntax mistakes and build the skills to communicate more concisely and effectively in English. The following paragraph was written by a professional from another country working in the U.S. It has some grammar/syntax errors. The unedited version is #1. In the second sample, the grammar/syntax errors have been identified. In the third sample, those errors have been corrected. There is a step number next to each correction in the third sample that correlates with the steps in the Writing in English program. software must meet the expected requirements in the certain time frame. problems to be solved under ^ specified environment and ^ the performance of ^ software must meet the expected requirements in the certain time frame. The problem must be review thru Peer Review to make sure it will never happen again. The problem I face/am facing (7) every day is (7) to integrate the software for the (19) ABC Software Project. A lot of times the behavior of software varies from the host environment to the target. My responsibility (16) is (7) to make (11) sure all the problems are (10) solved in (15) the (19) specified environment and that (22) the performance of the (19) software meets (7/8) the expected requirements in the specified (24) time frame. The problem must be reviewed (10) thru Peer Review to make sure it will never happen again. 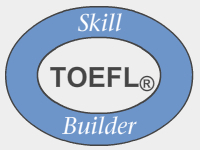 *Writing in English is co-branded by ETSÒ(Educational Testing Service), makers of TOEFL and TOEIC.